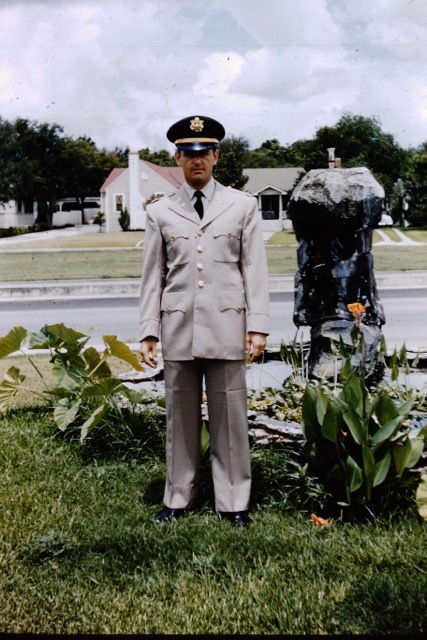 My father served in the United States Army. I don’t think he would ever begin the story of his life at this point, but this is an alphabetical telling, not chronological. Plus, I was born during the Army years, so I suppose it’s a good place for me to start. The Army helped pay for his medical school. In return, he gave them 6 years active duty. One posting was in Eritrea, which at the time, was part of Ethiopia. My earliest memories are from Kagnew Station, the army base there. Those little fragments of memories hardly seem real. I rode camels. I sifted sugar to help in the kitchen. We had chameleons. My early memories rarely include my father though. I imagine he was kept quite busy with his work. He moved his way up through the ranks. 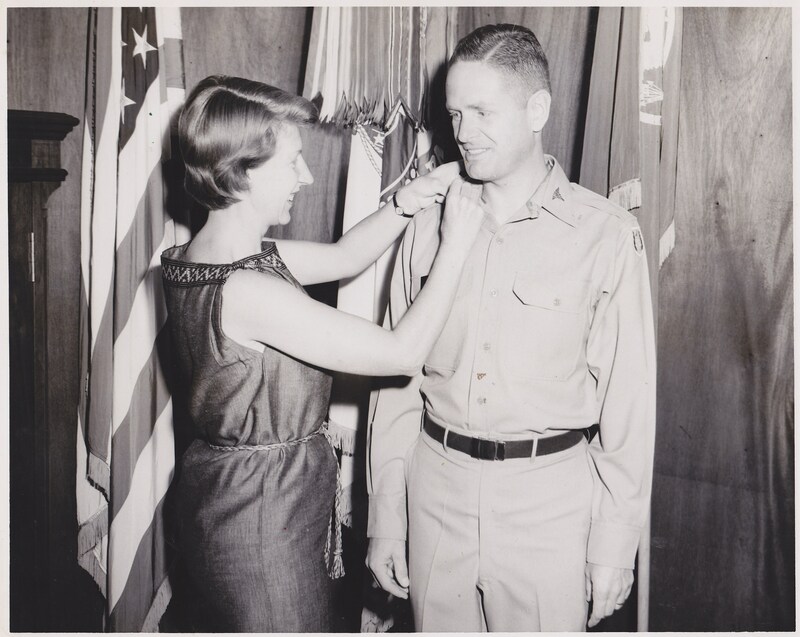 This is one of my favorite pictures of my mom and dad from one of his promotion ceremonies. “What comes after that?” younger me asked him. “General,” he said, and I was duly impressed. When he had put in whatever time he needed for a full retirement, he did just that. 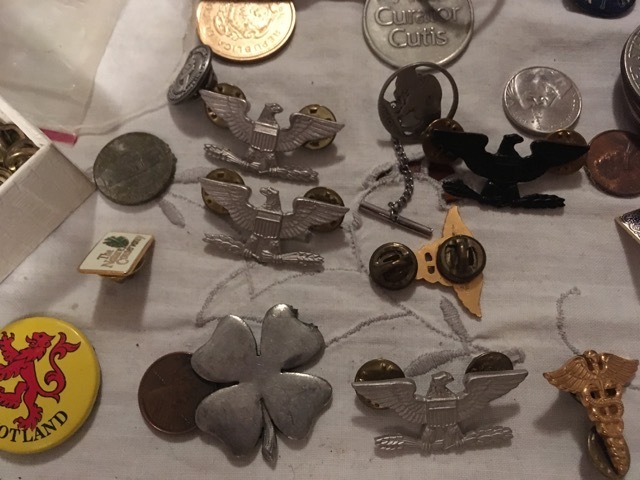 These days he likes sorting things — emptying banks and sorting the coins, sorting through papers and photos, sorting pins of various shapes and sizes that he has acquired over the years. I looked at the assortment he had spread over his dresser. Sure enough, those full-bird eagles were thrown in some pennies and nickels, a lucky 4-leaf clover, and a few caduceus. He had forgotten the hard work that went into earning them. I’m not even sure he knew their significance. He was ready to give them away to anyone who seemed interested. My dad was in the army, but I think he has forgotten it. I remember him shining his army boots on the night before reserve duty, and the smell of the boot black. I remember how different he looked in his fatigues. 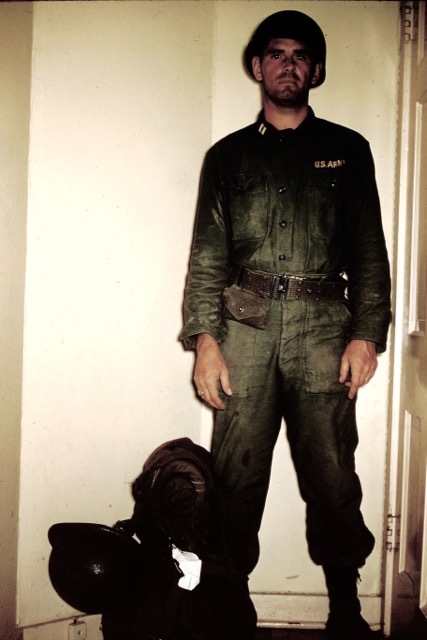 Mostly I remember feeling kind of proud that my father served in the army. I happened to be at the airport in Baltimore when an ‘Honor Flight’ disembarked and elderly veterans were wheeled through the terminal. I heard some commotion and looked to see what was happening as people lined up and clapped and cheered as they passed by. Needless to say I was in tears. And it hit me that those ‘cute little old guys’ you see at the VFW, or out and about, very likely served our country well and are deserving of more respect than we usually give them. I’ve heard stories of elderly veterans with the reverse problem- the only memories they have left are being in combat, so effectively they’re trapped in that.